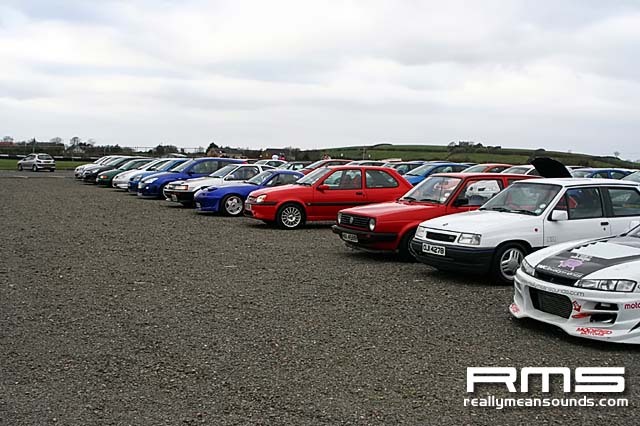 Trackskills kindly allowed us to hold a photoshoot alongside their first track day of 2009 at Kirkistown Race Circuit. 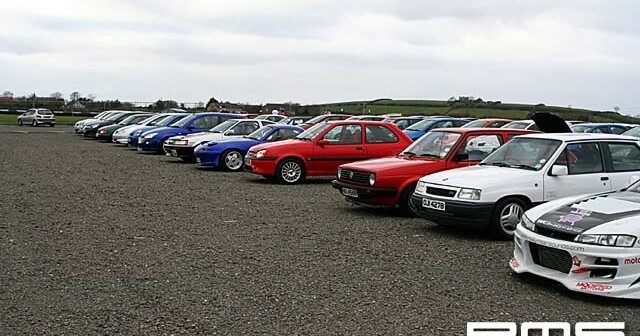 You would have easily mistaken the RMS meet for a car show, with all members cars turned out to a very high standard. Gaz had brought his Honda S2000 complete with the top down in near zero temperatures! KillerJims show stopper TVR Sagaris was turning heads and you must see the photos of both Graham’s yellow Seat and the black 106 with their interesting alloy wheel centrecaps. The thread with more photos is <a href=”//www.rmsmotoring.com/forum/news-events/91053-pics-rms-photoshoot-afterthoughts.html”>here</a>.